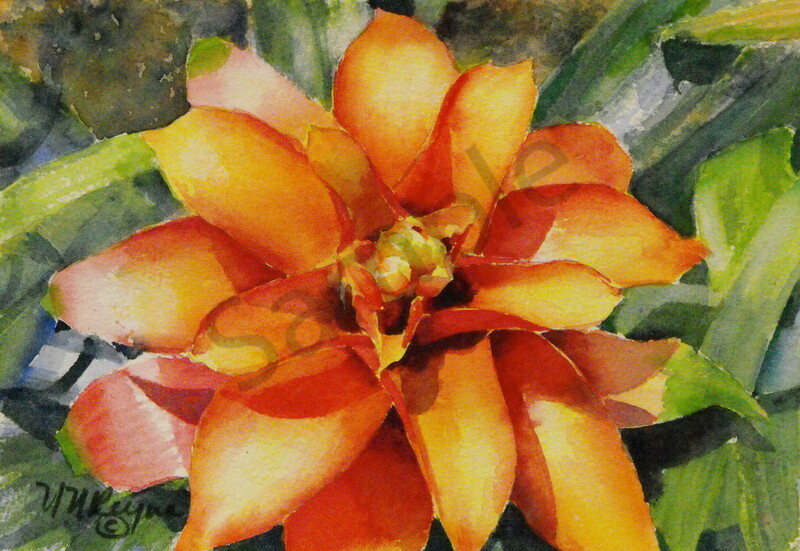 Bromeliad Sunset art, a tropical nature watercolor painting of an orange Bromeliad plant. Watercolor painting of a Bromeliad plant in the garden. The entire plant is so brightly colored that it appears to be a huge golden flower, while the actual blooms are the small forms in the center.